What makes you want to get out of bed in the morning? I get up knowing that I am about to have a cup of COFFEE! 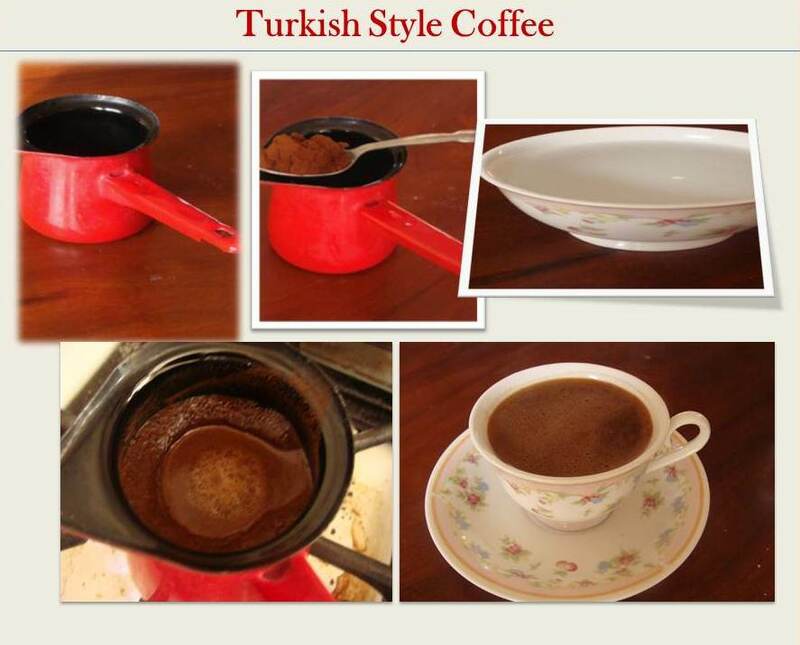 My very first cup is a Turkish Style Coffee. You might have also heard of it by the name of Greek Coffee, or Serbian Coffee, but we need to give credit where credit is due: Thank you Turks for the best coffee ever! Begin by putting a heaping teaspoon of coffee and sugar inside of the coffee pot. Inside the coffee cup that you will be drinking from, add water close to the rim; pour it inside the coffee pot and stir. Transfer the pot to your gas stove and set it to cook over medium heat. DO NOT WALK AWAY! It cooks fast and it will spill over if you do not catch it in time. When the coffee begins to foam and works its way up the pot, it’s done! Remove it from the heat and pour it slowly inside your cup because you want that brown foam to lay on top of the liquid. *Note: Before you remove the pot from the heat, please grab a mitten because the handle will be very hot! **Note: DO NOT drink the mud at the bottom of the cup!